With other princes of the Utterly Out — Ornette, Coltrane, Beefheart — I was, I confess it, puzzled by how tame they seemed against the buzz of advance promo. 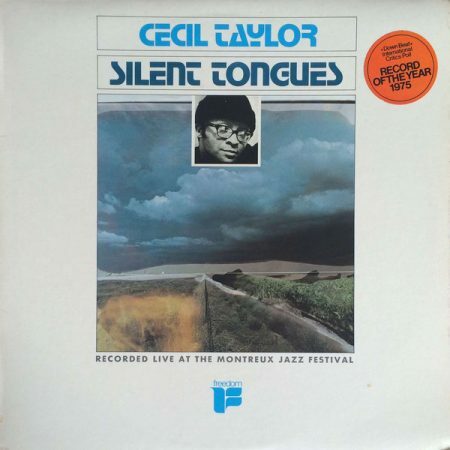 But Cecil — on Black Lion/Freedom’s 1975 Silent Tongues, his 1974 Montreux Festival solo performance — did not disappoint. Perversely, far more subsequent time was spent addressing Coleman and the good Captain, battling to discover ways to hear their sound as deranged delight, learning tolerance for the well-meant overreactions of enthusiasts. And so my response to these others to this day sometimes seems suspect, post-fabricated out of a need to be wowed, or to seem weird; the pianoman, by contrast, I always knew I could trust, to swoop in, connect instantly, and transfigure. With Cecil, no need to fake it. So I didn’t visit often, though I dallied with his less demanding children — Von Schlippenbach, Tippett, Crispell, Shipp — and all too soon I was taking him for granted. The affair turned second-hand again, and stalled. Modernism’s dirty secret: avant-garde work requires the survival of the order it first flared against, or its full radicalism no longer properly registers. Mind switched to low, just like those Black Cultural Nationalists who voiced concern about Taylor’s ‘European’ influences — because deep, deep beneath their political bluster, they doubted an African-American artform could wrestle white tradition and win — I projected my own baffled timidity, and even dismay, onto an oeuvre I was no longer regularly checking. The counter-force epiphany for me came with a CD full of what Stefan Jaworzyn has described as “Teletubbies-style verbal gibberish”: Chinampas (Leo, 1987). At which point, things I’d known for years – but been too nervous to accept – came suddenly clear. Like so many sympathetic yet humour-free interviewers down the years, catching the edge of a Cecil tease but missed its meaning, I’d overlooked countless clues. 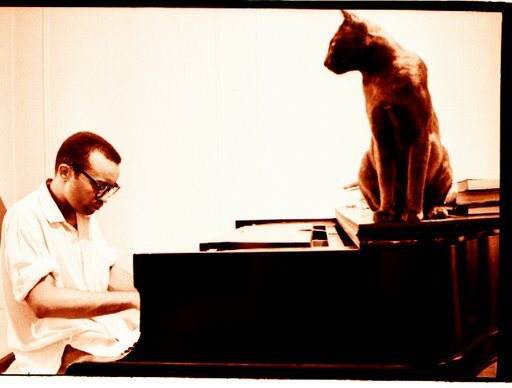 The cover to Silent Tongues — featuring Cecil, winsome in glasses and woolly hat – I’ve now felt joy towards for some 20 years: in retrospect, the gulf between this absurdly cute sad-little-boy mugshot and the record itself expresses nothing if not irreverent glee. In the sleevenotes to Blue Note’s Unit Structures (1966), dry crypto-Darmstadt analysis mutates into cut-ups, and wicked Burroughsian war on grammar. On Soul Note’s small-orchestra set Winged Serpent (Sliding Quadrants) (1985), on A&M’s impishly superb In Florescence (1990), on Chinampas, Taylor invokes Aztec gods — gorgeous, jagged, murderous deities more outrageously unsuited to worship even than the much-bothered Egyptian pantheon. Their presence among the grunts, rumbles and oblique exclamations punctuating In Florescence suggest a musician whose absolute confidence in his work frees him to kid, to plant the worry that it’s a giant joke. Indeed, this is more than just flirtation — again and again he soars, eagle-god turned trickster gremlin, way out over the abyss of the possible put-on, and never more gloriously than with the high-fired aztèque concrète that makes up the piano-free Chinampas. 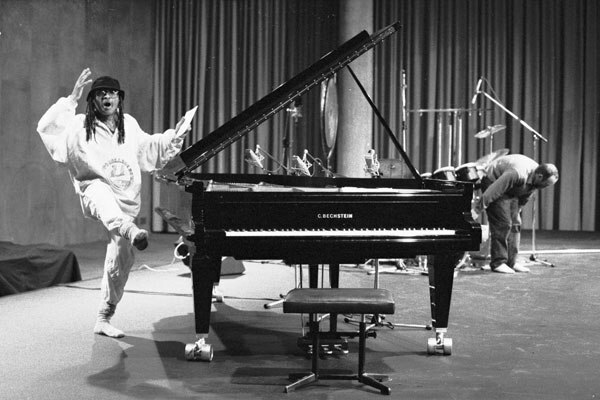 Of course, the ‘whitest’ concert-hall piano virtuosos – and the composers that encouraged them – have courted official unrespectability when they became too flamboyant, too romantically individual, too inhumanly extreme or unplayable, from Liszt to Xenakis, from robot-lover Nancarrow to Glenn übernerd Gould. But when piano-play turns into self-absorbed callisthenic work-outs, when the musician presents as some superfit but otherwise daffy street-person, mazed into his own asides, gestures and solo dances, when the compositions are like architectural design-brainstorm sessions for the living city-of-the-future, and this unlikely idiot-savant dervish is busily, dizzily solving every urban conundrum there could ever be, we may begin to realise why most orthodox Cecil-crit favours lulling solemnity. For art-fraud on so titanic a scale – so vastly vivid, so elaborately detailed, so whirlingly learned – is no less startling than the ‘straight’ work it seems to send up. Indeed, it’s far more staggering, and even scary, in its implications — what kind of madman devotes his entire life-energies to the merely unserious? For me, the only works in the avant-garde canon that match Taylor’s serene, omniscient cheek are Finnegans Wake, and Vexations, Satie’s vast day-long hymn to absolute simpleton repetition. As it was, Coltrane, all bruised earnestness and cosmic quest, became the poster-child for the New Thing, the model for what ‘being taken seriously’ would come to mean. Nobility? Self-denial? Avant-garde transformation as a solemn, lonely, painful, search? Well, yes — yet a glance at the lives of most known questers (knights errant, polar explorers) reveals quests as monuments to anti-domestic panic, with most seekers fleeing as much personal duty as they’re pursuing. All across the slopes of art’s Everests, a great deal of immature selfishness continues to mistake itself for the austere sublime. Much celebrated (rightly celebrated), Coltrane’s natural grace of spirit and vast generosity served mostly to obscure (A) how little imitated this was in Cultural Nationalist circles, and (B) how repressed, repressive and reactionary the CultNat version of radicalism quickly became. By temperament, Taylor had chosen Out before Ayler, Coltrane or even Coleman, playing free years before this became the term for the play, his example encouraging each of them to take similar steps. He was always already Out; it was always already Play. His work — in its mischief-making badboy totality — has from the outset been not a quest but a masque, wherein the daunting modernist massif and its pervasively silly, naughty, niggling parody coincide. I love this music because it makes me happy — and it makes me happy because it refuses to sidestep, to underrate or even to disrespect the tireless teasing perversity at the core of human behaviour, because even if it wanted to shill for pompous fraudulence, self-seriousness or fast-track fake enlightenment, it just couldn’t.